One of many social media posts on the night of Luke’s death. This and others were quickly taken down amid rumours of Police repercussions. 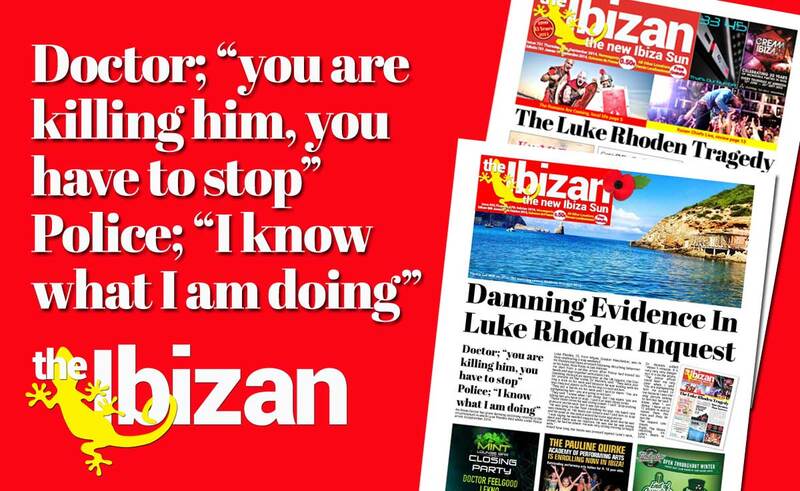 Though widely reported in the UK press, there has been a disturbing silence among Ibiza based media in reporting the inquest into the death of Luke Rhoden. To our knowledge we are the only news service giving coverage. 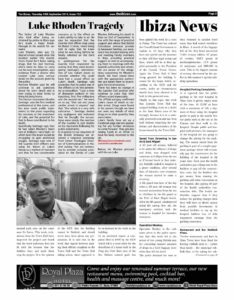 Here we provide our report on the evidence of Doctor Akoskin at Luke UK inquest currently in progress as published in the Ibizan today. It is preceded by an update of the inquest’s decision after we had gone to press. Then also our reports from the time of Luke’s death. The story deserves to be heard. 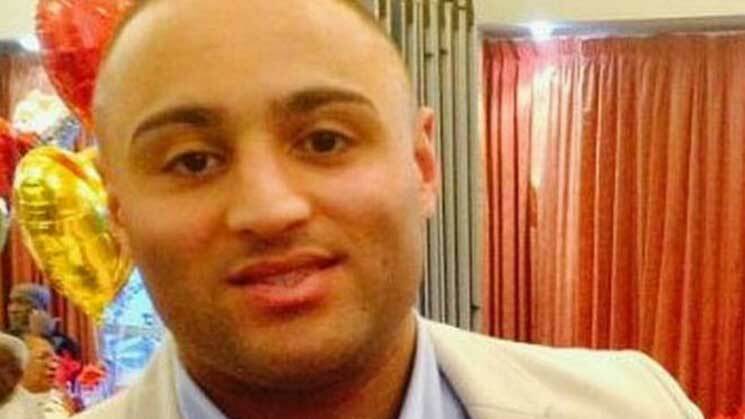 At the end of this week’s inquest into the death of Luke Rhoden, the jury concluded police had used excessive force and had asphyxiated him. It was also recorded that he had suffered an adverse reaction to cocaine and ecstasy, which he had taken that night. Speaking to the BBC after the decision was announced, Luke’s father Norman said he would have preferred the jury to have been allowed to consider a conclusion of unlawful killing. However coroner Kevin McLaughlin had precluded that from the options available to the jury ruling that there was insufficient evidence. Mr Rhoden said he was pleased the jury had “at least agreed that the Spanish police played a part in his son’s death”, and would consider what legal action could be pursued as a result of the inquest. An inquest into Luke’s death had already been held in Spain, where a verdict of ‘violent accidental death’ was recorded. The Spainish inquest ruled that there was no evidence to suggest any criminal behaviour by those who dealt with him. 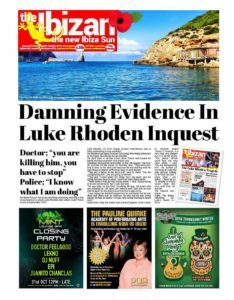 An Ibizan Doctor has given damning testimony relating to the circumstances in which Luke Rhoden died whilst under Police arrest in September 2014. Luke Rhoden, 25, from Wigan, Greater Manchester, was in Ibiza celebrating a stag weekend. Mr Rhoden had been arrested following disturbing behaviour at his hotel, Ibiza Rocks in San Antonio. He died from a cardiac arrest after Police had bound his hands and legs together with plastic ties. Speaking through an interpreter at the UK inquest, the Doctor present on the scene, Dr Akoskin, said: “They were putting a stick to his neck and because he was kicking with his legs they put plastic cuffs on his legs to restrain him. “They said: ‘I know what I am doing’ but I say again: ‘you are killing him you have to stop’. I said it at least three times. “Those three times he was losing power. I said: ‘Stop putting pressure on the neck’ but it was too late. “He was lying on the floor thrashing his legs. His heart rate was showing at 160 beats per minute and I told him to stop and be quiet or the police would be more aggressive. Asked how long the baton was pressed against Luke’s neck, Dr Akoskin added: “About 5 minutes. It is very very very dangerous. It is on the artery. “The police officer could hear me very clear when I said: ‘You are asphyxiating him’. He turned to me because I was the only person talking to him but he said: ‘I know what I am doing.’ I have up to 12 people in worse states than this man and they do not die. News of the tragic death of 25 year old British holidaymaker Luke Rhoden was breaking as last week’s edition was going to press. 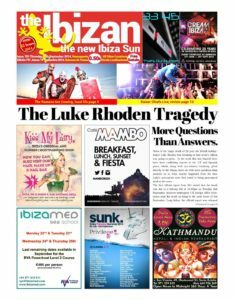 In the week that has elapsed there have been conflicting reports in the UK and Spanish press, which, along with eye-witness testimony given directly to the Ibizan, leave us with more questions than answers as to what exactly happened from the time Luke’s movements were first noted to being pronounced dead at the scene. We have been unable to view the video clip, or confirm it’s authenticity although we have viewed 2 other clips taken during Luke’s custody, and 1 prior to his custody. 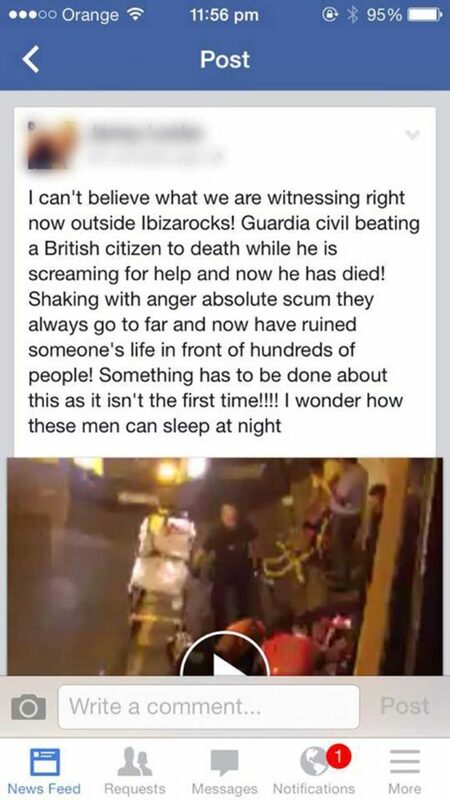 The video prior to the arrival of the Guardia Civil shows an apparently disorientated Luke staggering in the grounds of the Ibiza Rocks hotel where he was a guest. The clip lasts a few seconds and shows a security guard approaching him before it cuts out. “We were called at 10.30 when he jumped from a first-floor room and landed on a patio below.” The statement widely reported in UK press goes on to say “Our officers restrained him and put him in an ambulance but he died in the ambulance before it left the area of the hotel. We received several contacts from witnesses to events outside of the Hotel, from passers by and from people staying in accommodation overlooking the scene. One long term Ibiza resident said he was walking by on his way to work and saw “four Guardia Civil holding him down and two beating his legs with Batons. Judged by UK police standards this would seem exceptionally harsh, however the Guardia Civil are known for their tough response and the use of Batons is certainly more commonplace in restraint. Another group of 3 British tourists in their 20’s said they were shocked by what they had seen and were reporting the matter to the British consulate. In a video posted by the Daily Mail Luke is shown on the ground as two Guardia Civil officers attempt to restrain him without any signs of their Batons drawn. It is considered however that this video clip must have been relatively early in the events as photographic evidence shows several more Police in attendance. One widely reported and as far as we are aware uncontested fact is that Luke was handed to the Guardia Civil by hotel security staff. Clearly events must have taken a dramatic downturn from this situation of apparent control to the ultimate tragic outcome. We have asked the British Embassy in Madrid whether they have received any direct reports from UK citizens and whether they envisage any participation or representation to the Spanish Authorities however we are as yet to receive a reply. The as yet undisclosed autopsy report will be important in giving further information as to the causes for Luke’s death. Luke came from Wigan where he was a member of the Wigan Warriors Rugby League team at youth level. Amongst many tributes Warriors head coach Shaun Wane said: “I was absolutely devastated and saddened when news reached me of Luke’s death. “He was great lad. It’s a real tragedy. “It is very hard coming to terms with what’s happened because I spent a lot of time working and coaching Luke when he was a young player coming through. “They were good times and Luke was so keen. “I coached him at Wigan when he was in the junior ranks at 16s, 17s and 18s level. “He was a good lad who would look after himself. Luke Rhoden, who was 25, died of a heart attack after the incident earlier this month. Tests found he’d been taking drugs. 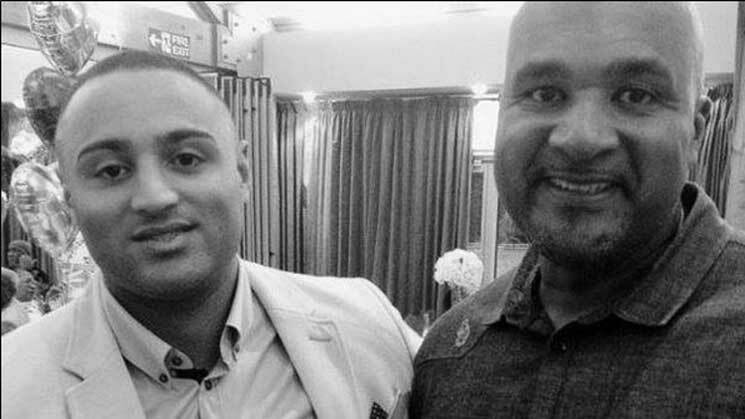 But his dad Norman, who’s been to Ibiza to carry out his own investigation, says evidence from a doctor who treated Luke casts serious doubt on the account given by the police. Norman Rhoden says he will continue to ask questions about his son’s death and is now trying to raise funds to bring his body home. The Doctor concerned Akoskin Santiago was the first medical professional at the scene, and has now made public statements to the press regarding his concerns at the treatment of Luke, and the potential for that to have contributed to his death. Specifically Santiago says that he had taken Rhoden’s heart rate at 160bpm—very high—at which level the brain would be struggling to gain additional oxygen. Santiago says one of the Guardia Civil officers was using his Baton at Luke’s throat as a method of restraint and that he has considerable concerns as to the effect on Luke’s ability to take in air. He says he requested that the Guardia Civil officer stop using his Baton 3 times, twice being told in reply that he knew what he was doing, before he finally relented on the third request. A spokesperson for the Guardia Civil responded by stating that they were investigating Santiago’s administration of two Valium doses to consider whether this could have had a causal effect on Luke’s death. Santiago said yesterday that he asked one of the officers to let him administer a tranquilizer. “I put a dose of diazepam (valium) in two injections, first five milligrams and the second ten.” He went on to say “that can not cause cardiac arrest in anyone” and that “the valium is a very safe substance. “ Santiago denied any negligence and indicated that he thought the accusations were simply the reaction of the Guardia to cast doubts on his reputation following his public statements. There has been no change in the Guardia Civil position who continue to state that their officers acted impeccably. The official autopsy confirmed Luke’s cause of death as cardiac arrest. Drugs were found in his system though we have not seen any details of what drugs or in what quantity they were taken. Luke’s family have set up a Facebook page and are appealing for any further witnesses to come forward. They are also raising funds in an effort to have his body returned to the UK.